We are experts in partnering with clients to successfully navigate rapid growth and change to fast track growth and profits. Our proprietary process for how we achieve these results, our 5P Accelerator ProcessSM, encompasses our unique view of OD. What Differentiates Our 5P Accelerator? 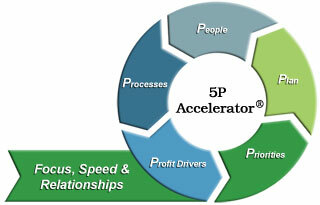 The 5P Accelerator® includes 5 key components. Without any one of these components, the same level and/or speed in fast-tracking growth and profits will not occur! People – we find that our most successful clients value people. People are the brand. When viewed as your #1 asset, people outperform all expectations. On the other hand, when viewed as a necessary cost, people perform as a necessary cost and do what’s needed for the paycheck. Processes – how your people perform their roles; what steps, sequences of activities, flows of operations and systems/ technologies utilized can add value to or take away value from the customer experience. Plans – Although we cringe at analysis paralysis and the desire for perfection (as these qualities directly and negatively impact results), those clients who develop plans succeed whereas the rest struggle mightily. We have a passion for the 80/20 approach with an emphasis on the critical path, meaning focus on what’s relevant and meaningful; ignore the rest. Priorities – If there was ever a topic that created the most demand for our consulting services, it is the lack of priorities! If everything is a priority, nothing is a priority. We evaluate urgency, impact, progression and risk to rapidly identify a few select priorities that will fast-track growth and profits. Profit drivers – All is lost if all these efforts go into your initiative without considering profit drivers. What is relevant to your strategic direction, growth and profitability? This is the 80/20 of the 5P Accelerator ProcessSM. 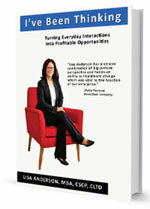 Focus – Our clients tells us that remaining focused is one of the most challenging issues. Customers call. The Board wants to meet. Suppliers run into trouble. People make mistakes. In essence, “stuff happens”. Finding ways to remain focused amidst the chaos is the trick. Speed – In today’s Amazonian environment, speed is more important than perfection. Heresy I know! Think about it – if you can’t find what you want when you need it, where you need it, will you patiently wait? Or will you go figure out another solution to satisfy your immediate need? 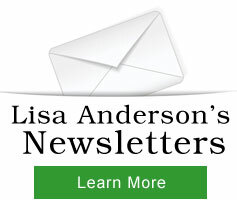 "Lisa is adept at finding hidden opportunities for improvement and excels at implementing change to deliver bottom line results. We accelerated cash flow and passed 1st year Sarbanes-Oxley audit."